New Jersey Plastic Surgeon and “NJ Top Doc”, Dr. Farhad Rafizadeh, specializes in delivering world-class results. With over 30 years of experience in the field of Plastic Surgery and a background in art, Dr. Rafizadeh knows what it takes to achieve that natural look. His unique approach to Plastic Surgery involves the principles of proportion, harmony and balance. In addition, his practice delivers a superior level of comfort and personalized care from the moment a patient steps in for their first plastic surgery consultation. Dr. Rafizadeh is especially excited to announce new offerings at his highly regarded plastic surgery practice. Dr. Rafizadeh is well known for his expertise in cosmetic procedures, specifically for his “Lip Lift” procedure, which brings in patients from all over the country. In addition to his “Lip Lift”, Dr. Rafizadeh is now offering Restylane Silk, which is one of the latest popular fillers used for fine lines and lip enhancement. For other parts of the face and skin, Dr. Rafizadeh is now offering a micro needle procedure, a popular non-invasive skin treatment for acne scarring, fine lines and skin tightening. The doctor is looking forward to introducing Thermi RF to his practice, for non-surgical face and neck lifts. Dr. Rafizadeh is now able to do consultations online! “Because we are getting so many calls coming in from other states we are excited to offer virtual consultations using Zwivel. Even though this by no means replaces a live consultation, it would allow us to determine if a patient is a good candidate for a procedure so that they can make travel plans”, says Dr. Rafizadeh. Board certified in General Surgery and Plastic Surgery, Dr. Rafizadeh has been in practice of plastic and reconstructive surgery in Morristown, New Jersey since 1984. He has been recognized year after year by multiple publications as a “Top Doctor” and “Top Surgeon” in the New Jersey and New York Metropolitan areas. Presently, Dr. Rafizadeh’s practice is focused on cosmetic surgery of the face, breasts, liposuction and reconstructive breast surgery after mastectomy. He has served as Chairman of Plastic Surgery at Morristown Memorial Hospital for many years, and has witnessed the transformation of Morristown Memorial into one of the most important tertiary care centers in Northern New Jersey. He also holds affiliations at Saint Barnabas Medical Center and Morristown Ambulatory Surgery Center. Dr. Rafizadeh completed a pre-medical degree at Neuchatel University in Switzerland before graduating with his medical degree from Lausanne School of Medicine in Switzerland. He then came to the US to complete his postgraduate training, including a General Surgery residency at Saint Barnabas Medical Center and Chief Residency at Morristown Memorial Hospital. To further advance his training, Dr. Rafizadeh completed a fellowship in Plastic Surgery at New York Hospital, Cornell Medical Center (New York Presbyterian) and Memorial Sloan Kettering Center. 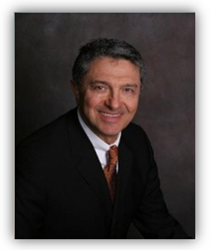 Dr. Farhad Rafizadeh is conveniently located in Morristown, NJ. For more information, please visit Dr. Rafizadeh’s online profile here: http://www.njtopdocs.com/DrFarhadRafizadeh. For more information, visit http://www.NJTopDocs.com.